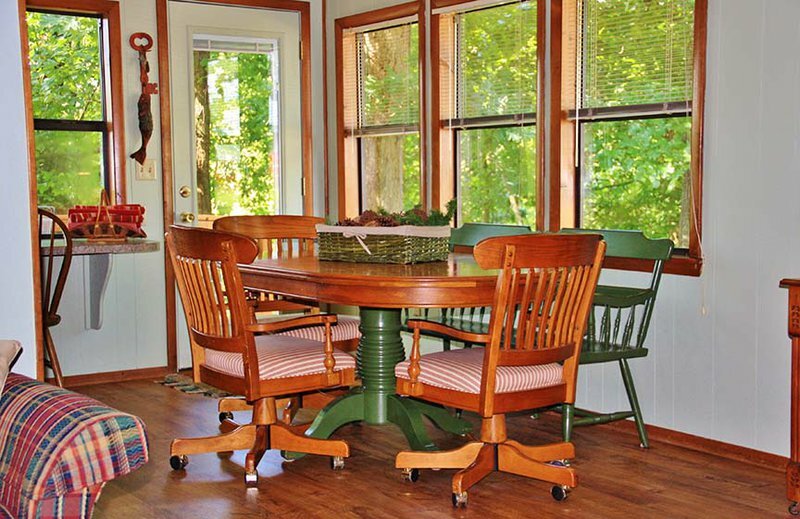 The Purdy Cabin Guest Retreat is a deluxe riverside accommodation. The cabin features three bedrooms, two bathrooms, eat-in kitchen, large living room with fireplace and dining room. Built on a high bank, an expansive multi-level deck allows visitors to overlook the water from either a treetop vantage point on the upper level or enjoy the water from the lowest level. 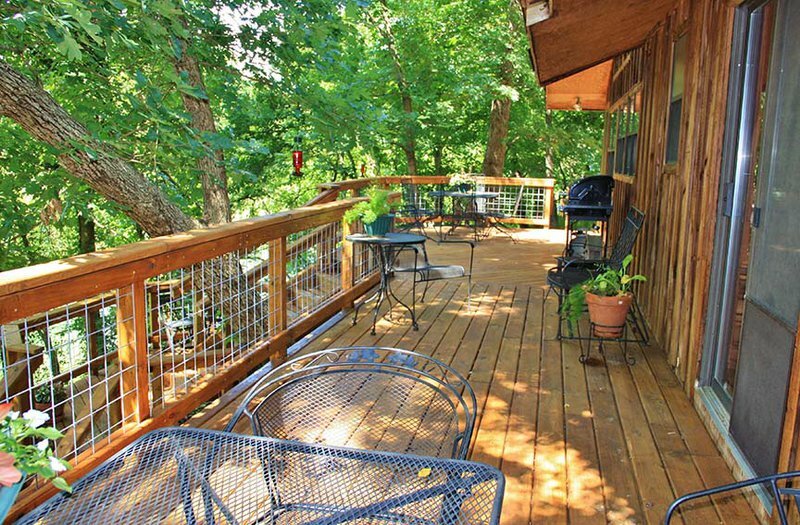 This refined yet rustic retreat is located just seven miles from historic, downtown Tahlequah. The cabin has central heat and air, televisions with DVD players and access to an extensive collection of movies. Guests may also enjoy the many board games and puzzles for all ages. 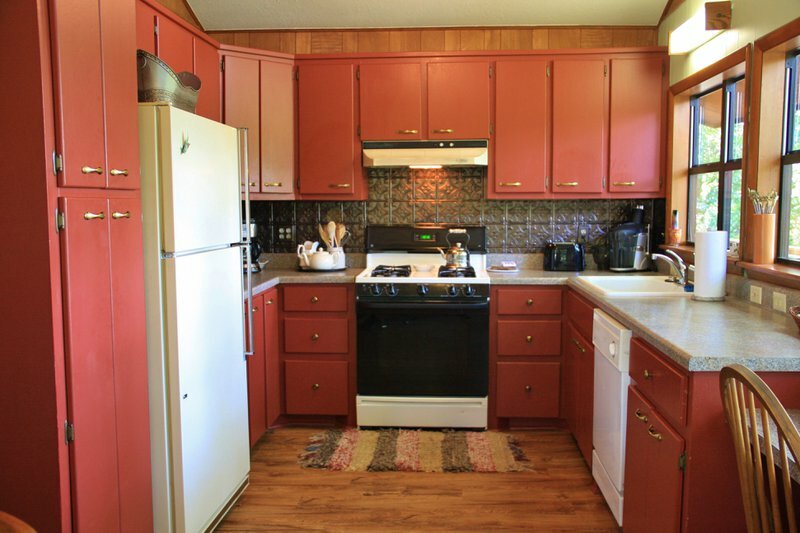 All kitchen utensils, bath towels and bed linens are provided. The deck is equipped with a gas grill and comfortable chairs with tables, which makes dining and relaxing outside an enjoyable part of the Purdy Cabin experience. 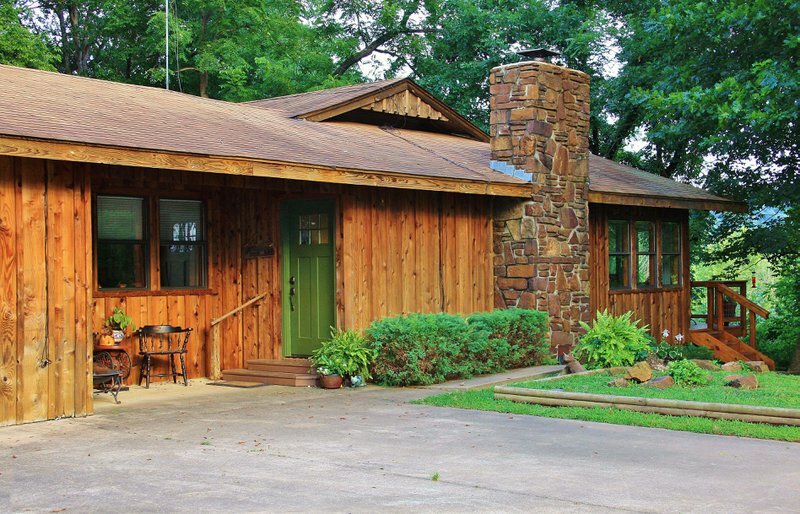 Located near float trip outfitters, lakes, Northeastern State University, the Cherokee Heritage Center and a variety of unique shops and restaurants in Tahlequah, the cabin is also a birder's paradise. A variety of woodpeckers, finches, warblers, wrens and nuthatches all dine at the cabin's numerous feeders. During the summer months, enjoy large numbers of indigo buntings and goldfinches, while winter brings out the cardinals, bald eagles and osprey fishing along the river. 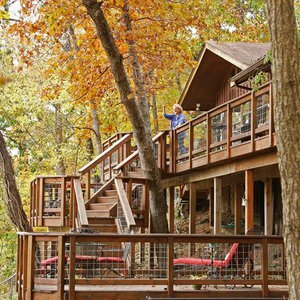 Whether you come to float the river, birdwatch, cozy up by the fire or just sit on the deck with a good book, the Purdy Cabin Guest Retreat provides the perfect getaway. $250 per night for first four people. $20 per person / per night, additional (maximum 10 people). While every effort has been made to ensure the accuracy of the pricing listed above, prices are subject to change without notice. 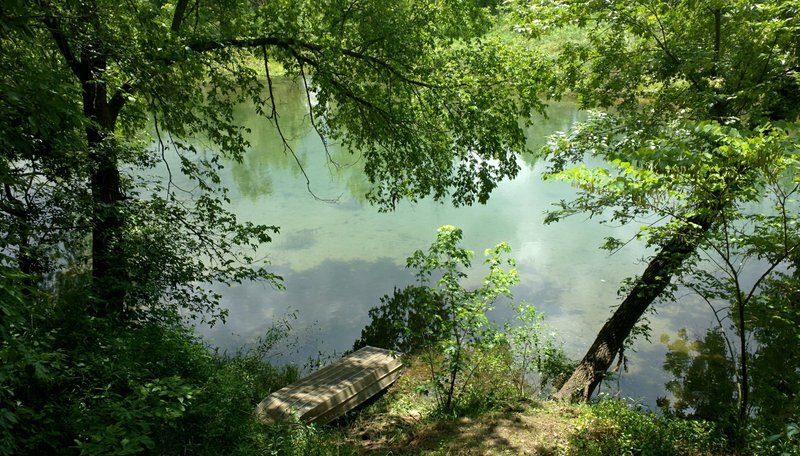 Located 7 miles from downtown Tahlequah, one mile from scenic Highway 10. Detailed directions available upon booking.